This cooperative breaks down the barriers faced by too many SME's on the island of Ireland. We have personally faced these problems and now we have a concrete solution. This opens up new markets for small firms and crafts makers on the island of Ireland. We are using time tested approaches of democratic cooperatives to create a real game changer in exports in Ireland. 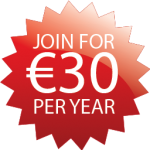 By creating a better platform to work together to create this initiative, we have gained the interests and support of Enterprise Ireland, the Small Firms Association, ISME, The Irish Exporters Association and the Cooperative Development Society amongst others. It is becoming increasingly apparent that Exports and the SME sector combined, represent a key element of Ireland’s future economic success. Building an export market is always going to be a challenge for small companies so anything that alleviates the pressure has got to be welcomed. 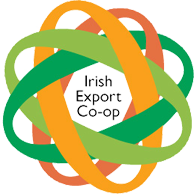 The ambitions of the Irish Export Co-Op are incredibly positive and this initiative typifies the entrepreneurial spirit that makes the SME sector such an important part of the Irish economy.